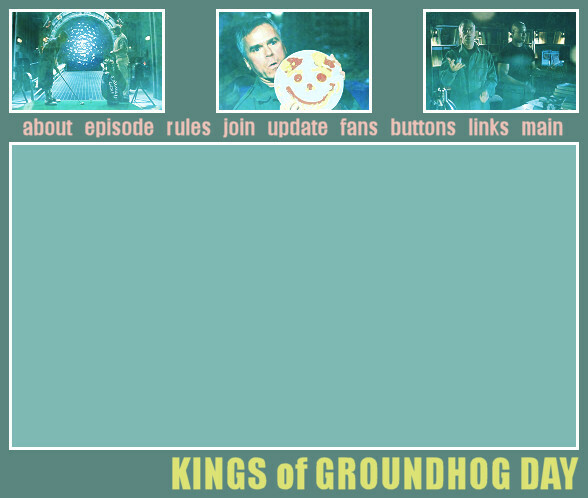 Welcome to Kings of Groundhog Day, the Fanlistings Network approved fanlisting for the best Stargate SG-1 episode ever, 4x06 "Window of Opportunity." A huge thank-you to Jaina for adopting this fanlisting to me. <3 To navigate the site, please use the above menu. This site is fan-run only and is NOT official in any way.